It's official. Madhur Bhandarkar's next is neither Fashion 2 (an idea he had only toyed with) nor Aashiqui 2 (which co-producer of Aashiqui Bhushan Kumar had approached him for). Nor is Bhandarkar taking up Sanjay Leela Bhansali's idea of remaking the South blockbuster Ramana in Hindi. But as Mirror can reveal, Bhandarkar's next after Heroine will be a political thriller set against the politics in Uttar Pradesh and Bihar. 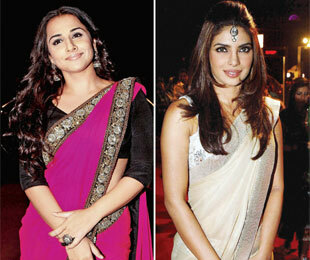 The filmmaker has zeroed down on two heroines for the project- Vidya Balan and Priyanka Chopra for the politician's role. A close friend of the filmmaker told Mirror, "Vidya would suit the role of the mature politician to the T. And after working with Priyanka, Bhandarkar has developed a very good professional rapport with her as well. So let's see which girl wins the race." The character is that of a very vulnerable woman from North India, who, in a span of five years, grows into a bold and conniving woman to survive in the cut-throat political world. She will be clad in sarees for most part of the film. "Political films are Madhur's forte. His 2003 Satta based in Mumbai, received critical acclaim," said the friend. Explaining why Bhandarkar is not going ahead with Bhansali's offer, the friend said, "Madhur does not believe in remakes. He did consider Bhansali's offer, which came about 15 days ago, but decided against it. So Ramana is ruled out." Bhandarkar's friend also revealed, "Madhur is talking to UTV Motion Pictures and Eros International for this one. Both the corporate houses have shown a lot of interest in the project." The political thriller in question will roll in December 2012. 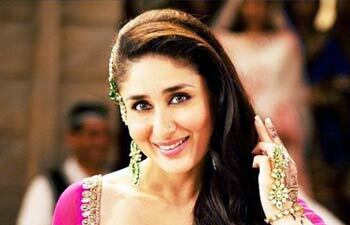 "Right now, Bhandarkar is very busy with Heroine which hits the theatres in September 14."